Wellington, July 18 NZPA - Cabinet will tomorrow consider and possibly make decisions on proposals to mine on conservation land, Prime Minister John Key says. However Labour has previously said that figure has been reduced to 3500ha. Early this year Mr Key said significant changes would be made to schedule four but today on TVNZ political programme Question and Answer he was more circumspect. "I think if you look at it now in hindsight, even if we were to adopt everything that we went out there and took to the public for submission, there were 7000 ha, as opposed to the 467,000 ha that the officials put up to reclassify out of schedule four. So I don't think you could actually claim 7000 is significant." "Well what I'm saying is at the time when we looked at that we were considering much broader, well potentially a broader unlocking of Schedule four." 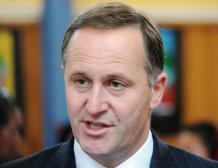 Mr Key would not commit to less than 7000 ha, saying Cabinet needed to discuss it. However he stood by his position that mining and exploration were important for the economy if done sustainably. Asked if mining on schedule four land was a big part of the economic equation, Mr Key said no. "I mean conservation land is much wider than schedule four, and the previous government issues around about 88 permits on conservation land. So I think there are opportunities there, but the sensitive bit is schedule four, that's going to Cabinet tomorrow." Green MP Kevin Hague said national parks were too precious to mine and he called on National ministers to reject the idea altogether. "Open cast mining for dirty, low value coal will be bad for the local environment and has a direct impact on global warming, both of which cost New Zealanders dearly."